A few years back Kasabian would've never played the Point, but these days they're getting to be massive. They went down a treat for Arthur's Day last night, and will return to Dublin to play the O2 on Friday November 27th. Tickets are €33.60 and go on sale next Friday (referendum day!). 'Who Says' is the first single from John Mayer's upcoming Battle Studies, and it's quite catchy. The guitar part reminds me of 'Stop this Train'. You can stream the single in full (complete with watermark) on John's own website. The album itself is due on November 17th. Former Turn frontman Oliver Cole (also known as Ollie) releases his new EP next Friday, the 2nd of October, in advance of his solo album We Albatri which will come out sometime next year. If you've seen Ollie live, you'll have heard the excellent "albatri" story, and if you haven't heard him live, I recommend you go see him somewhere around the country. 2UIBestow Sessions are back nice and early for October. This time they take place on October 1st, so you can have a pre-referendum tipple while enjoying some excellent home-grown artists. The gig takes place in Boyle's in Slane, and starts at 9 p.m.
"Damien Rice travels to Iceland early November to record and film new material in front of an Icelandic audience. The recording and filming session will take place in Reykjavík, in a undisclosed space which aims to create an intimate setting for Damien to perform his new material in front of live audience. He will also be playing some material from earlier albums as well as answering questions from the audience. There will be four exclusive recording sessions, over two days (4th & 5th November), and only 90 tickets will be available for each session." Back when TwoWayMonologues was a fully-fledged review website (with fancy features and all), I used to write reviews for them (most of them behind the deadline, as Dan will tell you). They've since redesigned and relaunched as a wonderful Canadian music blog, alongside the interesting Minilogues - a tremendous idea where bands are filmed performing in unconventional locations. CODES have a number of upcoming dates around the country to support their excellent TreesDreamInAlgebra album (which I reviewed at the weekend). They'll be playing the Academy on Saturday to launch the album and tickets for that are €13. Kelly Clarkson will be bringing her All I Ever Wanted Tour to Europe next year, starting in Ireland on the 25th of February 2010. She'll be playing the Olympia Theatre in Dublin. Tickets go on sale this Friday and are priced €44.20. I usually don't like October-November, there's hardly any new albums released in the run-up to Christmas (except compilations), and thus hardly any album news. But then, there's always Year End Lists and then new albums for next year. 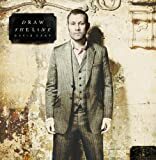 David Gray's new album Draw the Line was released in Ireland last Friday, and if you haven't gotten the chance to listen to it yet, you can now. It's pretty gorgeous, with some especially nice tracks like 'Kathleen'. Thank heavens for Llama, the Live Music Archive. They always have splendid bootlegs on there. 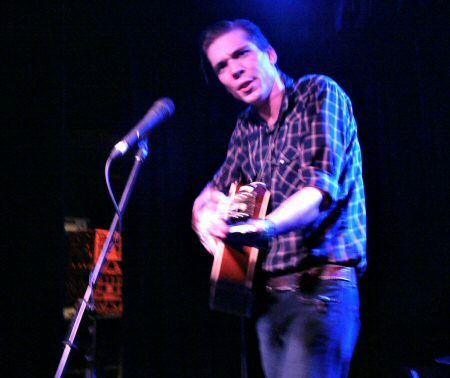 None more splendid than a new Justin Townes Earle show from the 11th Annual Pickathon Roots Music Festival in Oregon on August 1st 2009. Justin does a nice Q&A as well as playing some new tunes. And by new I mean brand spanking new unreleased ones. Yes, it is New Moon day over here. It's going to be the movie event of the year, much like the way Dan Brown's The Lost Symbol was the book event of the year. So the soundtrack is sure to sell bucketloads. Especially when you see that there's some damn good artists on there - ones the cool kids like - not just Team Edward or Team Jacob fans. The soundtrack is out October 20th, with the movie exactly a month later. Hopefully Thom's and Ben's videos will be left on youtube for a little longer than the latest New Moon trailer tends to last. Quick before they're taken down, here's the clips from Bob Dylan's upcoming Christmas in the Heart. Allegedly a new Thom Yorke song (not this one) is going to be on the New Moon soundtrack. I'm not quite sure what to make of that information. Anyhow, Thom Yorke has teamed up with Bansky for this new solo song, and it's brilliant.